With the LG G5 officially announced today at MWC 2016, the question many have asked is if the phone will come to the US. The answer is a resounding yes. Both AT&T and Verizon have announced that they will be carrying the new LG device later this Spring when it hits US shores. Both companies will be carrying the device itself along with the modules that are available for it as well. For their part, AT&T has already put up a pre-release page for the G5 on their site which promises more information is coming soon. The news of the LG G5 coming to the US and being available for those who like GSM (AT&T) or CDMA (Verizon) is great for consumers and, with both carriers, you can take advantage of payment plans to purchase the phones so you don’t have to come up with the roughly $700 to buy one out right. You will, of course, be able to buy an unlocked version of the phone from LG (and likely other retailers) but that isn’t always an option for some. The Press Release from both carriers (the AT&T one is below) were short and to-the-point. Essentially a “we are going to carry it” notice but not much more in the way of details. AT&T is expanding our industry leading portfolio of premium smartphones with the LG G5. The latest premium smartphone from LG features a sleek, metal unibody and a removable battery that slides out to accommodate a variety of companion devices designed exclusively for the G5, such as the LG CAM Plus plug-in camera grip. 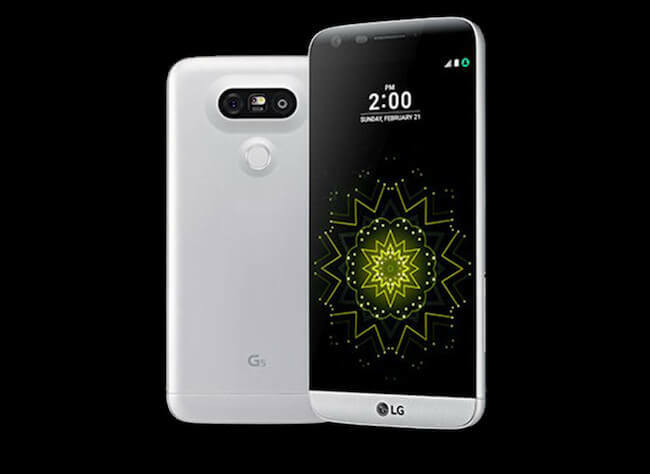 Additional companion devices for the LG G5 include the 360 CAM virtual reality camera, LG 360 VR, and the 360 Sound Bluetooth speaker, which will all be available from AT&T. Information on pricing and availability will be available in the coming weeks. To keep up with the latest on the LG G5 visitwww.att.com/g5. The best thing you can do if you are an AT&T or Verizon customer interested in this new LG phone is to keep watch on their websites.